by Municipal Historian David G. Johnson. Town Historian Dave Johnson, a retired Hamden Fire Department captain. 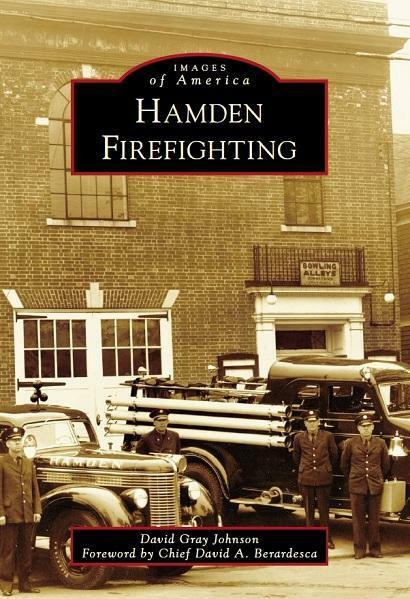 With over 200 photographs of historic fires as well as images of numerous volunteer and career professionals from all eras, Hamden Firefighting chronicles the department from 1896 to the present day. and other retail outlets starting November 20th, 2017, for $21.00. Today marks the centennial of our involvement in World War I. 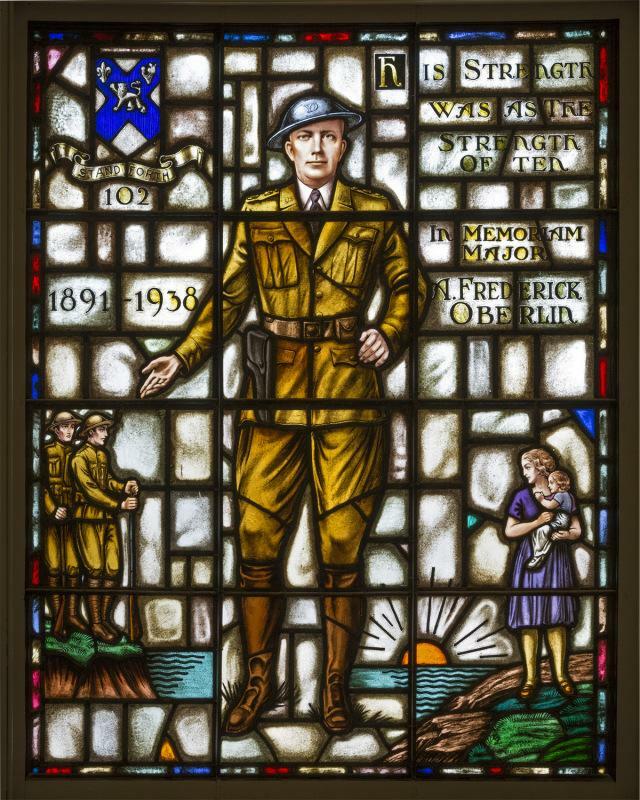 In Hamden, we are proud to honor one of our own doughboys, A. Frederick Oberlin. The link below will take you to an excellent article just published by Dr. Laura A. Macaluso, a researcher and writer currently living in Virginia. Al Gorman served the town of Hamden for many years and in many capacities as a civic leader, as a politician, and as a preservationist. He was the driving force behind the creation of the Hamden Historic Properties Commission, and was involved with the Hamden Historical Society as a member and as its president for decades. He, with his wife Betsy, were also great recruiters for the cause of history. I am evidence of that, as I am sure are many people here today. One of the main activites of the Historical Society is this History Room, where we make our manuscript, printed, visual, and other resources available for researchers, students, and town members. It is entirely right and proper, therefore, as a tribute to the memory of Al Gorman, to the service that he rendered to our community and to its cultural and historical legacy, to the love that he had for this town and the love we have for him, that we give his name to this space. Please join us on Saturday, March 25, 2017 from 3-4:30 for the dedication of The Al Gorman Hamden History Room. Al served for 20 years as the President of the Historical Society. The History Room has recently been renovated and it is fitting that it will now be named in his honor. The History Room is located on the Third Floor of the Miller Memorial Library. The situation regarding the demolition of historic homes on Whitney Avenue by Quinnipiac University has not come to a conclusion yet. Two respected historical organizations have taken an interest in our plight and are working with us to reach a positive resolution with QU. They are the Connecticut Trust for Historic Preservation and the State Historic Preservation Office. Your signature on our petition can be an effective tool in showing these groups that the local community stands behind us in our endeavor to Save Mount Carmel.